I wasn’t going to run this race – there was a 10k trail race I was looking at and was leaning in that direction. I like trail races, they’re physically challenging and generally inexpensive. This one was less than $20 after a coupon code. BUT, I was beseeched at my Thursday fun run and couldn’t resist: there’s something about running with your tribe that makes racing fun. When you know people, and can hang around before and after, the experience is great. The course is pretty (read here: very) flat and most folks come up just short of 3-miles on their watch. I registered exactly 3.1 on mine and I’m not sure what that says about my stuff. 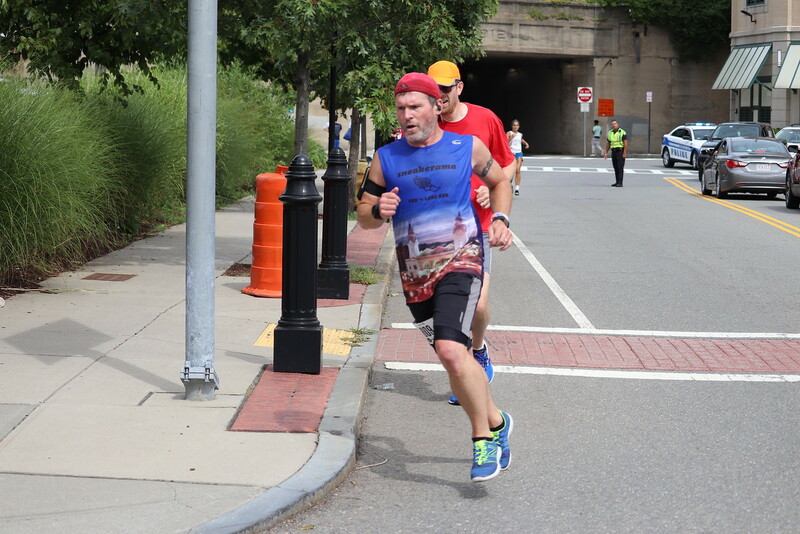 The course starts and ends just off Worcester’s Kelley Square – future home of the Worcester Red Sox – by the DCU Center (or as we old timers call it, the Centrum) up to Main Street, and back. It’s also put on by the Hibernian Hall, which is evident by the fact you’re given 2 beer tickets on your bib…with 1 food ticket that you can convert to a beer ticket if you want. I found the course over all well marked and staffed, my only issue was just coming out of Kelley Square, the course got a little tight and it was clear not everyone lined up according to their projected pace, so there were a bunch of people bottlenecked and weren’t moving as quickly as I would have preferred. Other than that, it was great. At about mile 2.2, I started to realize I had pushed too hard and actually walked a bit. I was competing back and forth with a teenage girl from a local school team and when she started to walk, I felt like I had just been given a pass that I took. I realized, though, that I had an opportunity to PR and didn’t want to quit on myself so I picked it up again. I really wanted to quit here. Going back to the whole tribe thing, when you see your friends volunteering on the course, it’s super helpful to your morale. As it happens I saw a few friends spectating and volunteering especially at the last half mile or so and when you see these folks cheering for you, it’s the best motivation in the world to keep going. As I came down the last bit of course, under the bridge where I really just wanted to quit but didn’t, and around the corner where I could see the finish, I pushed through with every little bit I had left. 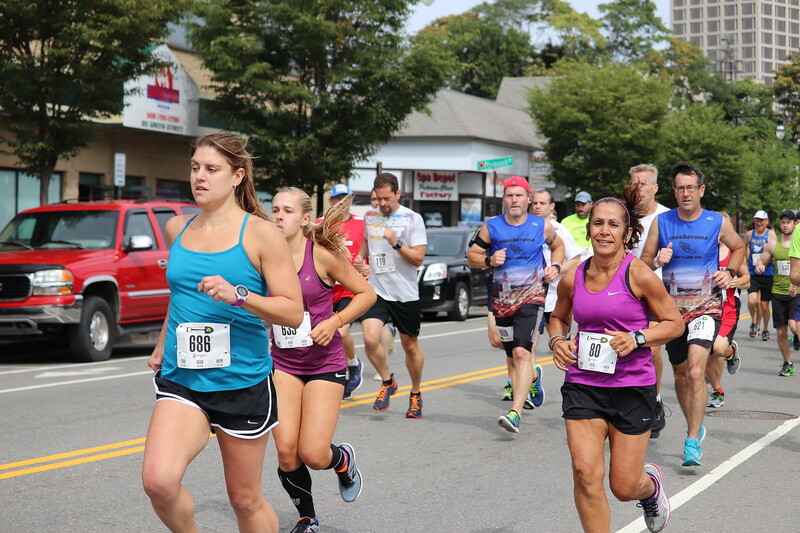 I’m pretty sure I was close to death as I crossed that line: I honestly cannot remember the last time I left everything out there on a 5k course. Fully gassed. I thought I would never be as fast as I was for the Celtic 5k. I remember feeling great that day, running with my kids, and just blowing the lid off. I didn’t feel particularly great for this race but I felt confident. I wasn’t going to run this race, but I’m happy I did. To make it even better, I helped Team Sneakerama win fastest team.